Microscope World is excited to introduce the microscope camera tablet. This Android tablet has a touch screen with live viewing and capture options. The table camera has a c-mount thread connection that will connect to any microscope c-mount adapter. 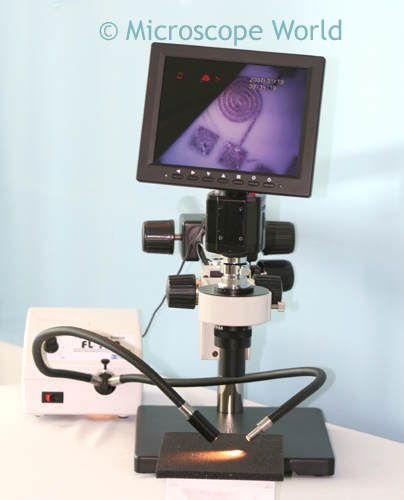 The microscope camera tablet is available in two different sizes, each having a few variations as shown in the table below. The 7" tablet is a basic microscope camera tablet, while the 9.7" tablet has advanced features including advanced software that can be calibrated and allows for measuring. 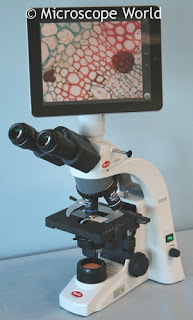 If you have specific questions regarding the microscope camera tablet don't hesitate to email us.